Each of the Launch models features a stylish and unique integral backspacer pattern where the two pieces of aluminum connect, and the USA flag is laser-engraved on the back side of the handle. 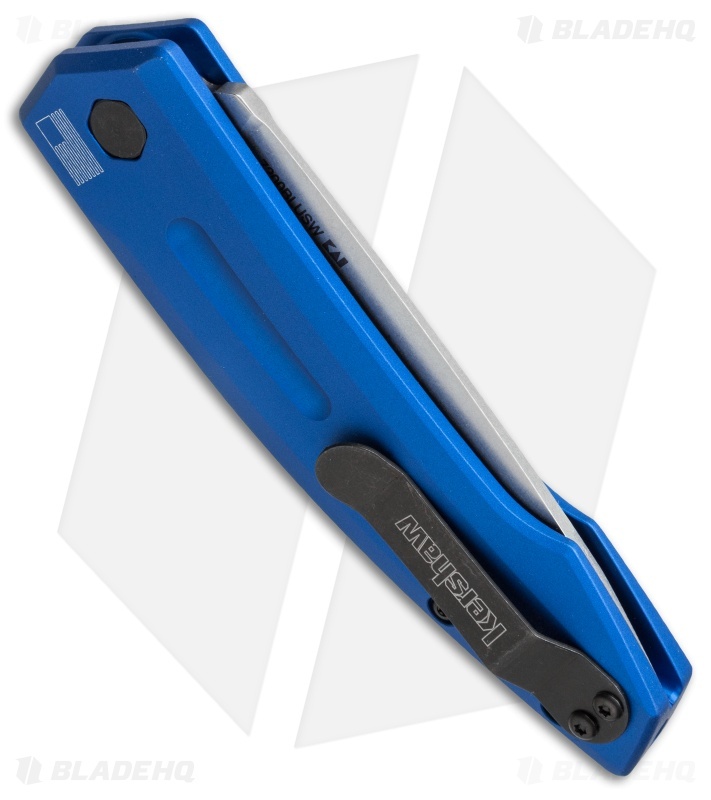 In tandem with the reversible tip-up carry pocket clip, the Launch 2 model is outfitted with a pass-through hole hidden at the base on the handle for lanyard attachment. 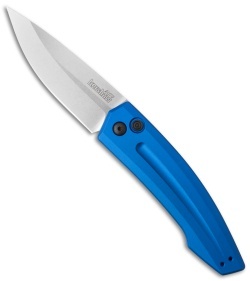 This Launch 2 has a stonewashed CPM-154 steel blade with a slight upper bevel. The blue anodized aluminum handle has a black finished hardware, pocket clip, and bulls-eye ring pattern firing button. My state changed it's knife laws in the past couple of years and now allows autos, so I wanted to add a nice auto to my collection. 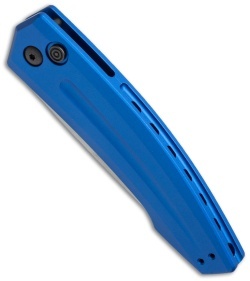 I chose the Launch 2 because it doesn't look "scary", it's made in America, and because it was offered in "Ben Blue" (Pat. Pend.). The knife is perfect! The blade centering is perfect, there is zero blade play in any direction, the blade fires with authority and I am pleased to get CPM-154 blade steel with this. The action is perfectly tuned, it locks shut reliably and doesn't bounce back beyond the lock when fired. This is my second knife from Blade HQ and it won't be my last! This was my 1st auto . bought it cause Kershaw has a good reputation and past experiences with them . its stylish functional . i use it at work now and again holds a good edge and takes 1 good too . the blue ..yea that sealed it 4 me. It was a lttle stiff at first, but after working the bugs out it's great! Really smooth opening! Made in the USA !! This is an excellent knife. It is razor sharp and very solid. I bought it because of the smooth clean line of the handle. It slides in and out of my pocket easily. And when you press the little red button BAMMMM... You better be holding on. The action is fast hard and tight. And yes I'm still talking bout this knife. Get it while you can at this fantastic price. Great value and excellent quality. This knife is so great for the price. Very good steel, the knife swings out extremely fast. I have no complaints about this knife at all. Well made knife from Kershaw.